Classical music is paramount in the world’s music culture. Its distinctive quality is a combination of deep emotional experience and richness of artistic devices. At all times in history music absorbed national styles, for which reason music by composers from different countries are always different and have their own unique style. The European Foundation for Support of Culture put forward an initiative to hold Days of European Classical Music in the cultural capital of Russia – St. Petersburg – in May this year. 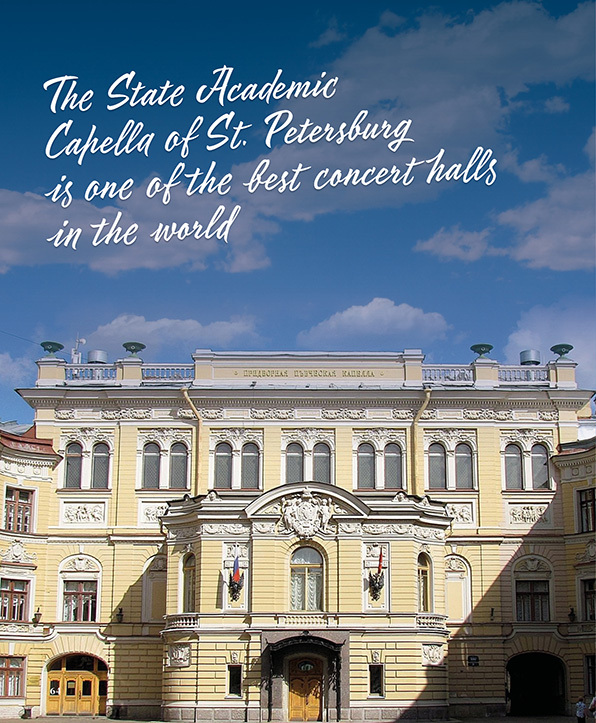 The State Academic Capella of St. Petersburg hosted a series of concerts with the Karelian Philharmonic Orchestra under the direction of Anatoly Rybalko, Artistic Director and chief conductor of the orchestra. The soloist: Meehae Ryo, cello (South Korea), famous for her amazing technical virtuosity and fascinating melodiousness, performed. During the European Classical Music Days in St. Petersburg, music of the most famous composers from Europe was performed, such as Beethoven, Bach, Strauss, Mozart, Chopin, Verdi, Schubert, Vivaldi, Handel, Mendelssohn, and many others.